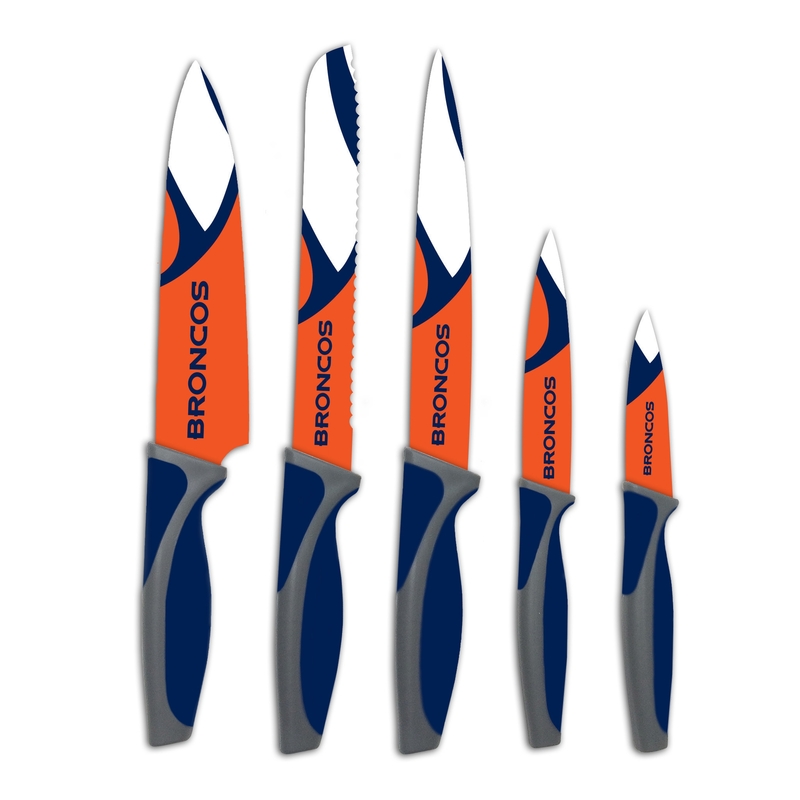 Own your slice of the hometown celebration with the Denver Broncos Kitchen Knives Set of 5. Each knife features unique artwork and the dynamic color scheme of the Denver Broncos. 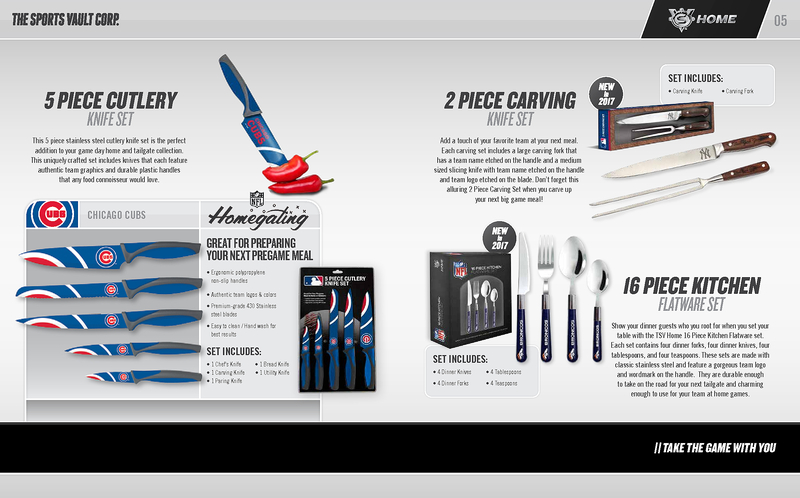 As Nfl officially-licensed cutlery, this set is a must-have item for fanatics and casual fans of the Broncos. 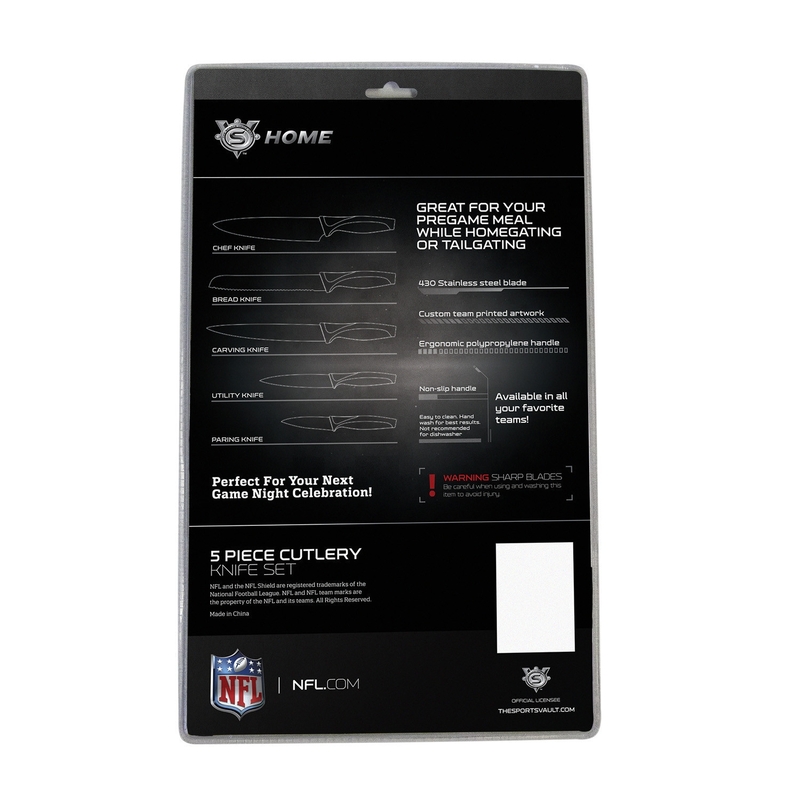 Within each set of 5 Denver Broncos Kitchen Knives, you will receive a carving knife, bread knife, utility knife, paring knife, and chef's knife. Whether you're on the grill or in the kitchen, your guests will be sure to know where you stand. The knives are designed with a polypropylene handle to improve ergonomics and reduce slippage. The blades are cast from stainless steel to increase durability and simplify cleaning. All knives in the Denver Bronco Kitchen Knives Set of 5 have passed any food safety regulations. 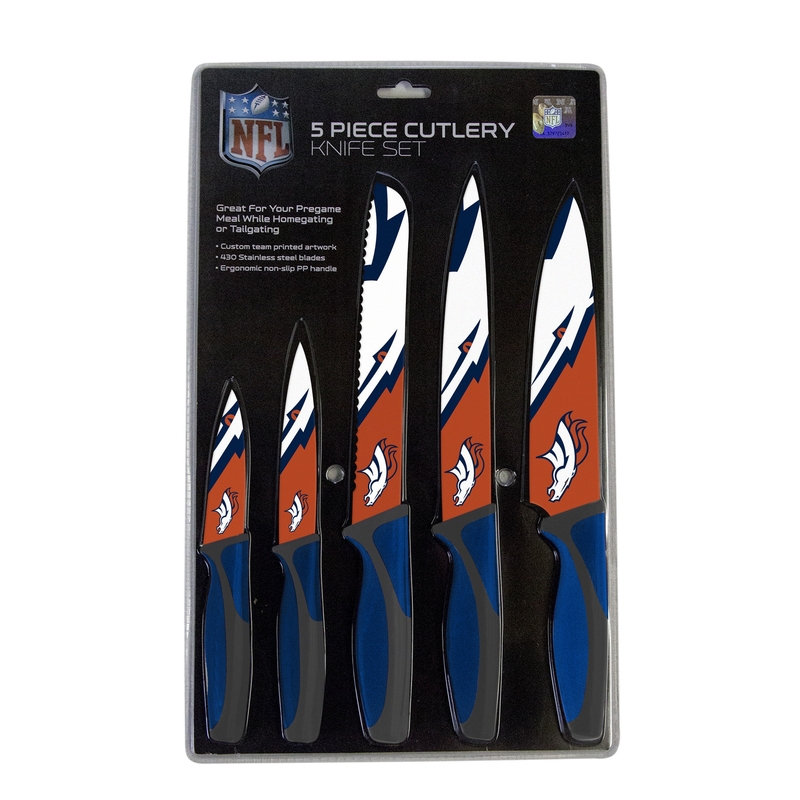 Order the Denver Bronco Kitchen Knives Set of 5 today as a gift for a friend or for yourself.